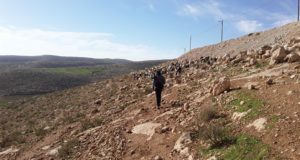 Israeli bulldozers demolished 15 animal barns and 3 shacks owned by Palestinian residents of Ein Al-Hilwa neighborhood in the Jordan Valley near Israeli settlement of Masquin, eyewitnesses reported Wednesday morning. 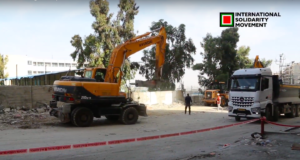 Palestinian Authority official Ghassan Daghlas, who monitors Israeli settlement activity in the northern West Bank, condemned the demolition describing it as part of a clear Israeli policy aimed at emptying the Jordan Valley of all Palestinian residents. 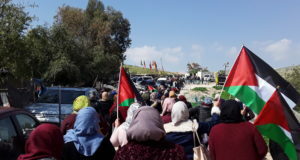 Daghlas called on the international community to exert pressure on Israel to stop displacing the Palestinian citizens from their homes and lands they have lived on for decades.